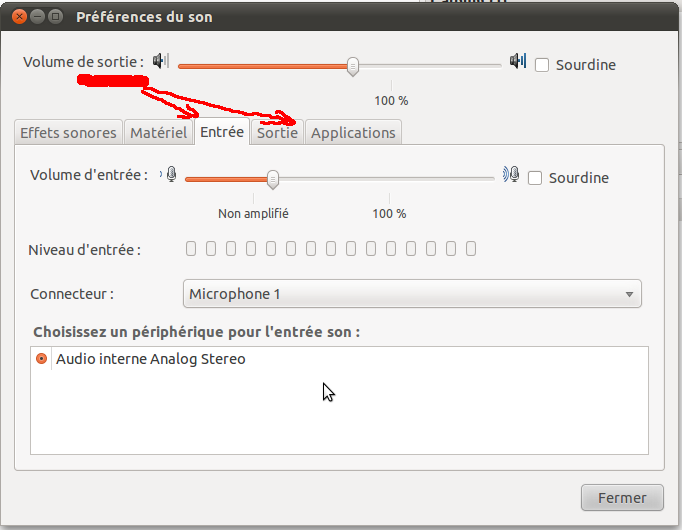 In sound applet indicator, the outpout indicator is common to all the others parameters (input, output...). It would be more logical to place it only inside the output part, not above all theothers parts. The issue you are reporting is an upstream one and it would be nice if somebody having it could send the bug to the developers of the software by following the instructions at https://wiki.ubuntu.com/Bugs/Upstream/GNOME. So, it would be more logical to place the outpout indicator only inside the output part and the outpout tab as the first tab that appears when opening the sound applet indicator. Having the outpout indicator even the sound applet is closed is enough, I don't think having it a second time when opening the sound applet is necessary. When somebody opens the sound applet, it's not mainly for looking at the output indicator, it can be for another reason.